Happy Chinese New Year! How will you be celebrating the new year? 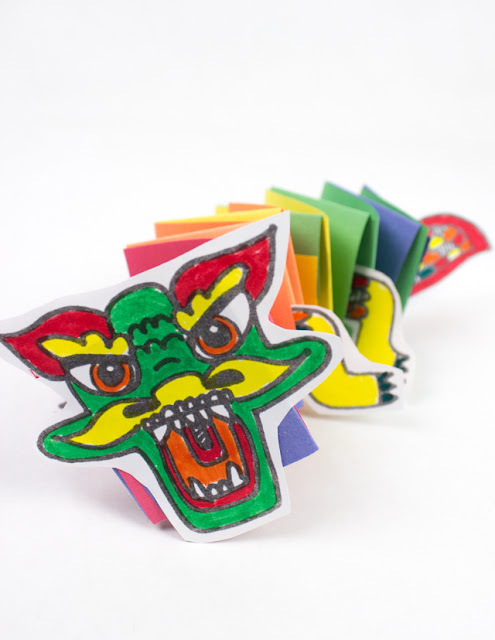 Tomorrow I'm going to celebrate in my son's class by giving out red envelopes, reading a fun storybook about the animals of the Zodiac The Great Race, and making these super cool Dancing Paper Slinkie Dragons! Do these dragons look familiar to you? Well, I used the same face, legs, and tail from my paper chain dragons and the results came out pretty cool! 1. 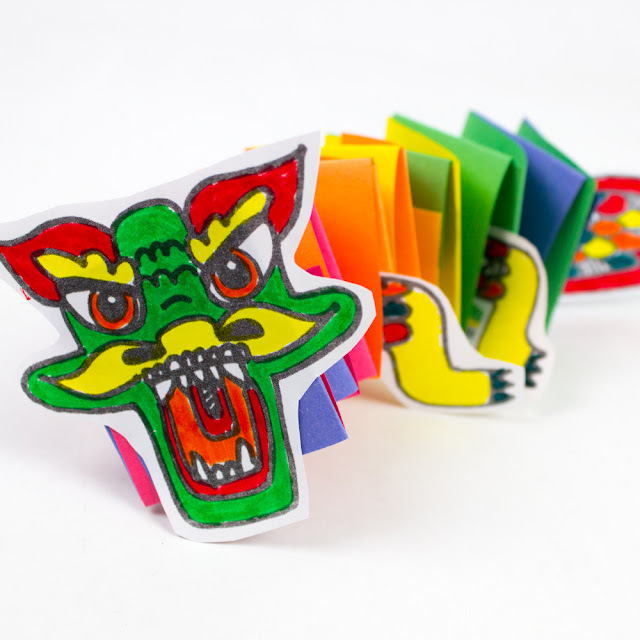 To make this paper slinkie dragon, print out this dragon printable here. 2. Color in the face, legs, and tail and cut them out. 3. 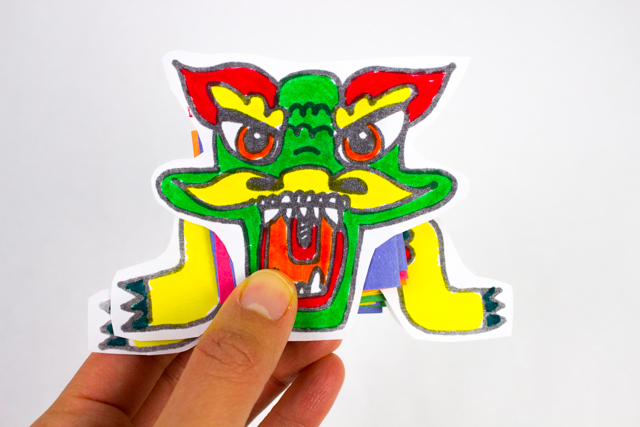 Use the template on the printable and cut out 2 red, 2 orange, 2 yellow, 2 green, and 2 blue strips. 4. 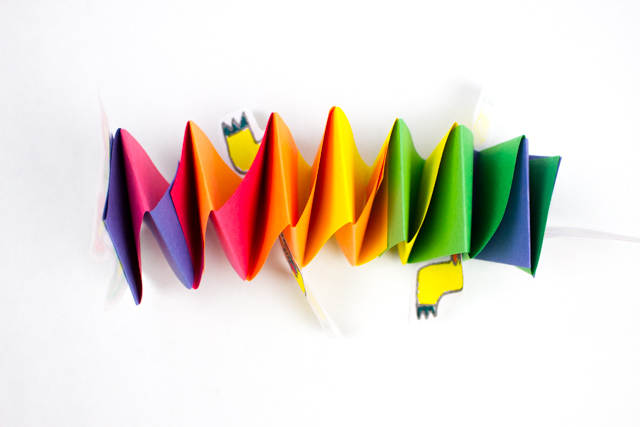 Follow these directions to make a rainbow paper slinkie. 5. Use a glue stick and glue on your head, legs, and tail! Here's what your dancing dragon will look like from on top. Here's what it will look like from the front!